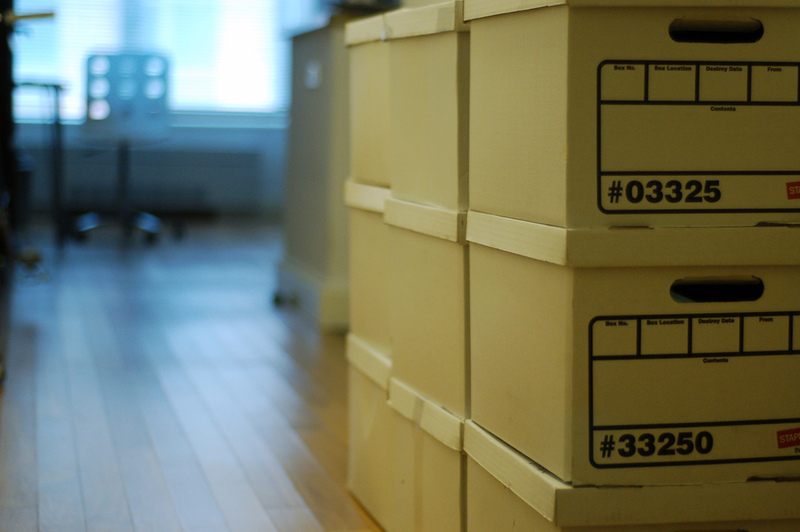 I’m in the process of moving through a divorce, and that means I’m in the process of moving. This summer I’ll leave the house that my partner and I shared, and move to a place of my own. Right now I’m taking the first steps toward that shift: beginning the work of winnowing and packing. Sometimes this work is satisfying. It gives me an excuse, for instance, to let go of extra dishes and pots and pans. I’m filling boxes for Goodwill, and with every item I discard I feel less encumbered (and also virtuous — it feels good to know that someone else will get use out of things I’m releasing). Other times, this work is grief-inducing. In the middle of poking through my winter clothes to decide which things I actually wear and should therefore keep, I run across the sweater I bought for myself on the Isle of Skye on my honeymoon eighteen years ago, and suddenly I’m weeping into the wool. Some of the things we accumulate, over the course of a life, are merely practical. I can’t say I have any particular attachment to the flatware in the silverware drawer, or to the mixing bowls, or to the couch. Other things have emotional associations: the print we bought to celebrate our engagement, or the giant and slightly misshapen ceramic bread bowl that my former partner gave me during my first year out of college. I’ve taken to saying thank you to the things I’m leaving behind or letting go. I thanked the sweater I bought on my honeymoon: it entered my life with my marriage, and for a long time it warmed me. I thanked the framed photographs of my partner and me on trips we were fortunate enough to take: they are reminders of some of what was sweet in the life that has now ended, and even though this chapter is over, I’m still grateful for what was good. The Torah tells us that the children of Israel journeyed in the wilderness for forty years, and that as they wandered, they were accompanied by a cloud that served as a visible reminder of the presence of God. When the cloud lifted from above the portable tabernacle that they had built, they set off on their journeying. When the cloud stayed put, so did they. Whether they were encamped or on the move, the cloud was always in their sight. Even the places where we make camp — the homes in which we settle, with all of their objects and memories — can be journeys. This house that I am leaving has been a journey, even though I thought I was settled here and would never leave. And if staying put can be a journey, maybe the reverse also holds true: maybe even in this departure I can find an internal rootedness. The presence that accompanied my Biblical ancestors in their existential journey accompanies me too. Even when I’m packing boxes with tissues at hand, that presence is calling me forward, accompanying me into a future I can’t yet know.